Landlord / Tenant | Marc Branco & Partners, P.C. Let us put our knowledge and experience of Landlord Tenant Law to work for you. Marc Branco has represented both landlords and tenants in the San Francisco Bay Area since 2009. Our team has successfully represented landlords and tenants in a variety of issues ranging from rent board hearings to unlawful detainer actions. Whether you are a landlord or tenant contemplating litigation or in the midst of litigation put our our extensive knowledge of California landlord tenant law and local rent control ordinances to work for you. A landlord is anyone who owns real property and grants to another exclusive use of all or a portion of the property in exchange for monetary or non-monetary compensation; or is an agent of an owner of real property who does the same. An occupant is any person who resides or uses the property with or without the permission of the landlord. A co-tenant is any tenant who has a direct agreement with the landlord to occupy the property and shares the property with another tenant who has a direct agreement with the landlord to occupy the same. Co-tenants do not have superior rights over their co-tenants and may not evict other co-tenants. A master tenant is a tenant who rents out all or a portion of the property to another occupant of the property who does not have a direct agreement with the landlord to use the property. A master tenant has the right to evict his or her subtenant. A subtenant is a person who is rents all or a portion of the property from a master tenant, and who does not have a direct agreement with the landlord to use the property. Security Deposits are governed by California Civil Code Section 1950.5. Security deposits cannot be titled as non-refundable. All security deposits must be refundable to the extent that the landlord does only uses the deposit to cover cleaning, repairs or unpaid rent. In the context of residential rental units the amount of security may not exceed more than two (2) month’s rent for an unfurnished rental unit, and no more than three (3) months for a furnished rental unit. 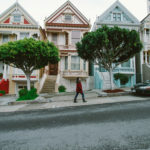 In some cities such as San Francisco a tenant’s security deposit must be held in an interest bearing account and the interest accrued during the term of the entire tenancy is to be included when the security deposit is returned to the tenant at the end of the tenancy. A tenant’s security deposit must be returned within twenty-one (21) days of tenant vacating the rental unit. A landlord may only deduct from a tenant’s security deposit for cleaning, repairs and unpaid rent. Any deductions for cleaning above and beyond $125.00 must be itemized and copies of receipts and invoices included with the returned remainder of deposit. 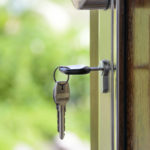 A Landlord who in bad faith retains all or a portion of a tenant’s security deposit can be sued by their tenant for three (3) times the amount of the wrongfully retained portion of the tenant’s security deposit. For more information on Security Deposits see our article: Security Deposits. Rental agreements for real property may be oral or written. However, rental agreements for the lease of real property for longer than one (1) year must be in writing pursuant to the statute of frauds. Some landlords are under the impression that if they have an oral rental agreement with a tenant and therefore no written proof of a tenancy, then evicting the tenant is a simple as simply stating that they are trespassers with no right to reside on the property. However, this logic is flawed since a tenancy may be implied via the tenant’s occupancy of the property and the landlord’s consent to that occupancy (e.g. acceptance of rent). In general it is in a landlord’s best interest to enter into a written agreement with his or her tenant. A well drafted written rental agreement clearly and certainly defines the terms of the tenancy and helps to ensure the landlord’s rights to enforce the terms of the tenancy. These terms include the amount of rent to be paid, the date on which rent is to be paid, the allowed use of the rented space, the tenant’s right to sublease or assign the property, the right to have pets on the property, just to name a few. On the other hand tenants typically have more rights under an oral agreement than they would have under a written agreement. Unlike the terms of a written rental agreement, the terms of an oral rental agreement are often extremely difficult to prove, and often have to be implied by the conduct of the parties. As such tenants who rent property pursuant to an oral rental agreement often have more rights than their counterparts who took possession of the property pursuant to a written rental agreement. Whether a rental agreement is oral or written, every rental agreement has covenants implied by law by which both the landlord and tenant must legally abide. Implied Covenant of Quiet Enjoyment: The landlord promises to allow tenant possession and quiet enjoyment of the rented property, and that the tenants possession or quiet enjoyment of the property will not be interrupted. Implied Warranty of Habitability [Residential Property Only]: The landlord promises that the property which was rented to the tenant for residential purposes is safe to use for human habitation. These requirements include but are not limited to: hot and cold running water, a suitable source of heat, electricity, indoor plumbing in good working order and effective waterproofing. These requirements are codified in California Civil Code Section 1941.1. A landlord may not increase a tenant’s rent during the term of a lease agreement – to do so would be a breach of the rental agreement. If a tenant is locked into a lease agreement, the landlord must wait until the end of the lease period before imposing a higher rental rate for the property. If a tenant rents a property on a month-to-month basis the landlord may raise the tenants rent by serving on the tenant a thirty (30) day notice of rent increase. If the tenant is a residential tenant and the proposed rent increase is greater than ten percent (10%) [or the total amount of rent increases during the last year exceed ten percent (10%)] then a landlord must give the tenant a sixty (60) day notice of rent increase. Landlords who own residential property in cities with rent control ordinances may be restricted as to the amount of rent increase they may impose on a tenancy. Several Bay Area cities such as San Francisco, Oakland, and Berkeley have adopted local ordinances regulating rent increases of certain types of tenancies. Typically rental units receiving a certificate of occupancy prior to the date the ordinance was enacted [San Francisco – June 1979; Oakland – Berkeley 1978] are covered under the rent control ordinance. However pursuant to the Costa Hawkins Rental Housing Act (enacted in 1996), single family homes and condominiums are exempt from rent controls. However, Single family homes divided into multiple “rental units” [rooms or flats] may be subject to rent control. Some rent control ordinance such as the City of Berkeley’s Rent Stabilization and Eviction for Good Cause Ordinance require landlords to “register” their property with the local rent board requiring the landlord to notify the rent board when a rental unit becomes vacant, how much the vacant unit rented for, and record all subsequent rent increases imposed on that rental unit. In order for a landlord to recover possession of a rental unit, the tenant’s tenancy must be properly terminated. A tenancy may be terminated in one of four (4) ways. A tenant may terminate his or her tenancy by giving a thirty (30) day notice to the landlord in writing that he or she intends to terminate the tenancy and vacate the property. The landlord and tenant may mutually agree in writing to terminate the rental agreement on a specific date. The tenant can abandon the premises and such abandonment is perfected and the landlord may recover possession of the property if he or she reasonably believes that the tenant has abandoned the premises, rent has gone unpaid for at least fourteen (14) days, the landlord has served the tenant with a notice of belief of abandonment pursuant to Cal. Civ. Code §1951.3. A landlord may terminate a tenant’s tenancy for cause or without cause. If the landlord serves the tenant with a “cure or quit notice” the tenant has the option of curing the breach or offending conduct before the expiration of the notice to preserve his or her tenancy. If the landlord serves the tenant with a “notice to quit” the tenant does not have the opportunity to cure the breach or offending conduct and must vacate the property before the expiration of the notice or else face the possibility of the landlord filing an unlawful detainer proceeding (eviction) against the tenant. Landlord’s should be advised that if the breach or offending conduct can indeed be corrected by the tenant – a cure or quit notice should be served in lieu of a quit notice. Tenant’s served with a quit notice may be able to successfully argue that the breach or offending conduct was “cureable” and the landlord should have afforded the tenant an opportunity to cure the conduct alleged in the notice. Note that a landlord need not offer a tenant an opportunity to cure a nuisance or illegal use of the property. A landlord may terminate a tenancy without cause by serving the tenant with a thirty (30) day notice notifying the tenant in writing that the tenant’s tenancy is terminated. If the tenant is a residential tenant who has resided in his or her rental unit for over one-year, then the landlord must give his or her tenant a (60) day notice terminating the tenancy. However, if the rental unit is located in a city which has adopted an ordinance regulating the basis for eviction such as San Francisco, Oakland or Berkeley and the rental unit is covered by the eviction control ordinance then the landlord may only evict pursuant to certain “just cause” or “good cause” for eviction. There are several “just causes” or “good causes” for eviction in these jurisdictions and each jurisdiction varies slightly from city to city – but they generally include the following justifications for termination a tenancy. Aside from requiring “just cause” or “good cause” for eviction, cities with eviction control ordinances also require strict notice requirements. 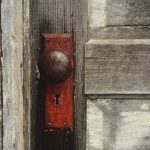 These requirements often require that the basis or “good cause” for the eviction is stated in the notice, and that the notice contain a statement that advice is available from the local rent board. Notices terminating tenancy based on certain “just causes” or “good causes” such as Owner Move-in or Ellis Act also require that other written statements and/or addenda be attached to the notice and sometimes be accompanied by relocation payments to the affected occupants of the property. Before attempting to draft a notice to terminate tenancy pursuant to good cause, contact the Law Offices of Marc Branco to ensure compliance with these strict notice requirements. If a tenant remains in possession of the rental unit after the expiration a properly served thirty (30) day notice, sixty (60) day notice, three (3) day notice to quit, or has failed to pay rent after being served with a three (3) day notice to pay rent or quit, or three (3) day notice to cure or quit, then the landlord is entitled to proceed with the eviction of the tenant by filing an unlawful detainer action with Superior Court of California for the county in which the property is located. ***Landlords may NEVER use self-help to remove a tenant from possession of the property, even if substantial breaches and issues exist and are ongoing! Unlawful Detainer actions are on a faster court calendar than other civil litigation matters. The reason for this expedited process is to resolve the issue of possession quickly, so that landlords do not jeopardize losing their property to foreclosure as landlords are not allowed to collect rent from tenants during the unlawful detainer action. This means that the case moves along very quickly- generally, having five (5) day notice periods for responsive pleadings, motions, and discovery. Trials will usually be set within, approximately, twenty-five (25) days from the date that a trial is requested. If you are served with a notice Thirty (30) or Sixty (60) Day Notice terminating your tenancy, or to Cure or Quit, Pay or Quit, or Quit, it is best to seek legal advice immediately. If you have been served with a Complaint for Unlawful Detainer, you should seek legal advice immediately as you will have a very short time frame to respond to that complaint. The Law Offices of Marc Branco can assist you in evaluating the validity of your notice and advise you as to your legal rights. ***This article does not constitute legal advice. This is not an exhaustive list of all possible issues that may occur or remedies that may be available during the creation, duration, and termination of a tenancy. You should consult an attorney before taking any legal action or if any legal action has been taken against you. This page, its information and its content, in no way creates an attorney-client relationship between the Law Offices of Marc Branco and any person whom visits this site. © Copyright 2017 marcbrancolaw.com. All rights reserved.